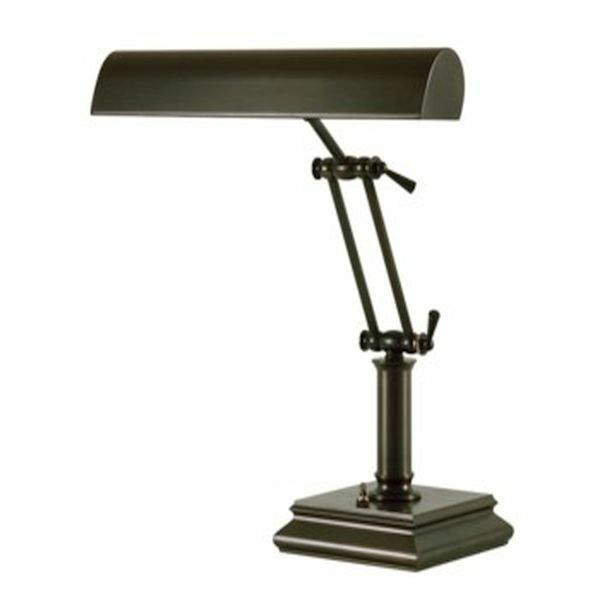 Beautiful House of Troy piano lamp with two control handles for more flexibility. The 14" shade accomodates two 40 or 60 watt bulbs. HEIGHT....Adjusts from 0" to 14"
THIS ITEM SHIPS ONLY TO THE LOWER 48 STATES. The lamp is beautiful and looks to be of excellent quality. We finally gave this to our granddaughter a few days ago and she really likes it. At age 9, she is just now learning how to play the piano - doing quite well. We hope she will benefit from having this lamp. She and her family live in San Antonio, TX.